Just look at it for a brief moment and you’ll know it is the house of your dreams. You’d love to live here and probably you’d also become a better version of yourself living here. 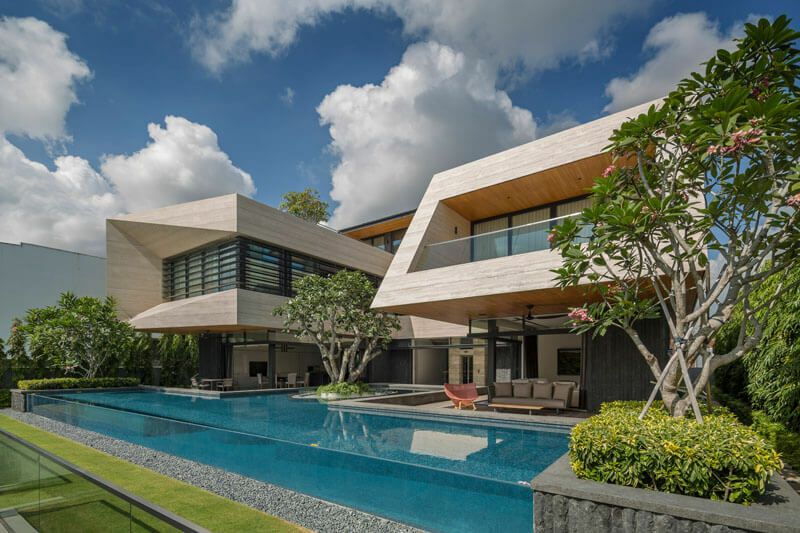 The forever home that we’re going to talk about today is designed by Wallflower Architecture+Design for a family from Singapore. The house sits at 13 feet (4m) above street level, on a terrace garden covered in slate. It’s got a garage, of course. Nothing unusual so far. You’ve probably got a garage too, but have you got a garage with an open skylight that has a planter in it, floating within the swimming pool above. 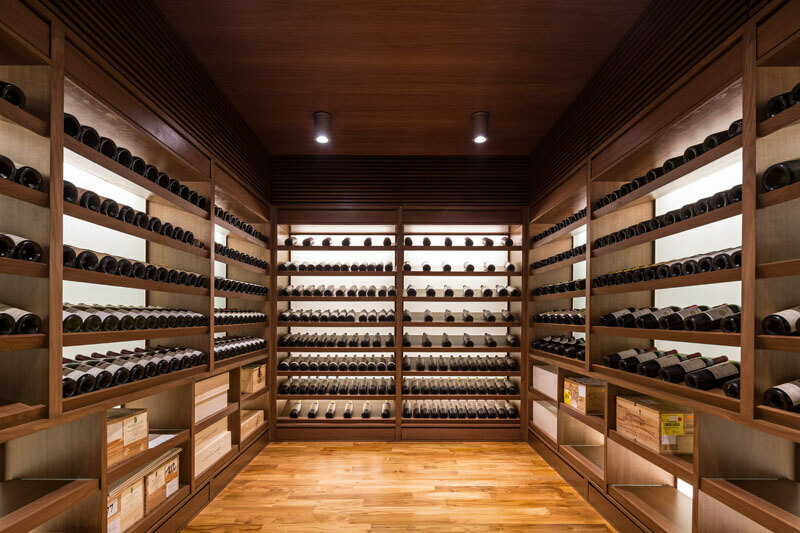 Then you’ve got a beautiful wine cellar with a lot of black-lit shelves where bottles can sit comfortably for how long they want. 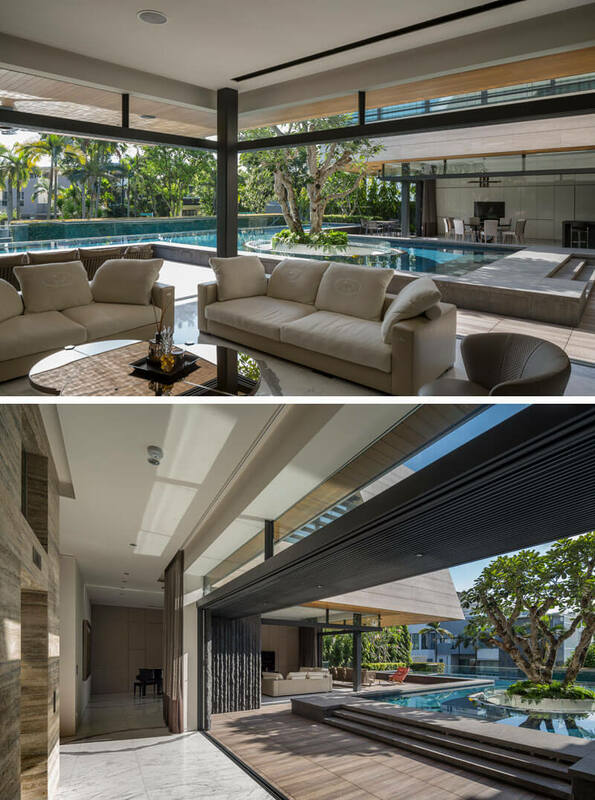 The main floor, with wide, sliding glass walls offers an incredible indoor/outdoor living experience, with the swimming pool on one side and beautiful gardens and green surfaces on the other side and also comfy sofas and dining tables for when you get tired of the sun. It looks like living in this house is a constant vacation. 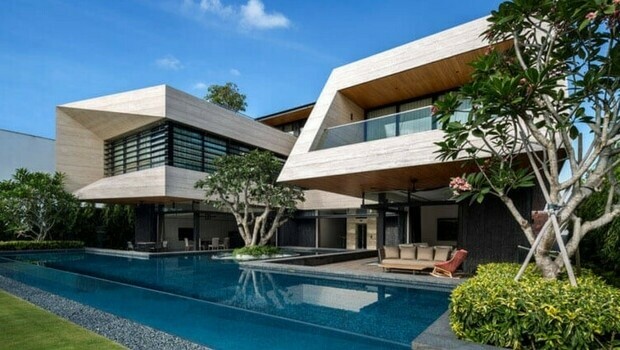 From the living room to the kitchen and swimming pool, there is a wide pathway that invites you to take a walk and enjoy the view of your own superb house. The forever house facade is clad in beige and silver with upper levels cantilevered to provide some shade for the outdoor surfaces. The swimming pool has a tree in the middle, yes, you’ve seen that right. It is a Frangipani tree that allows daylight and natural ventilation for the garage below. 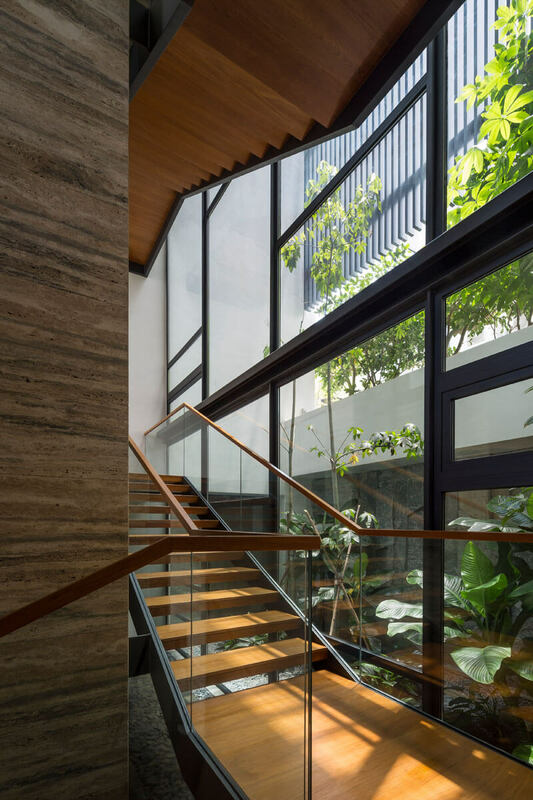 A simple wood and steel see-through staircase connects the various levels of the house. 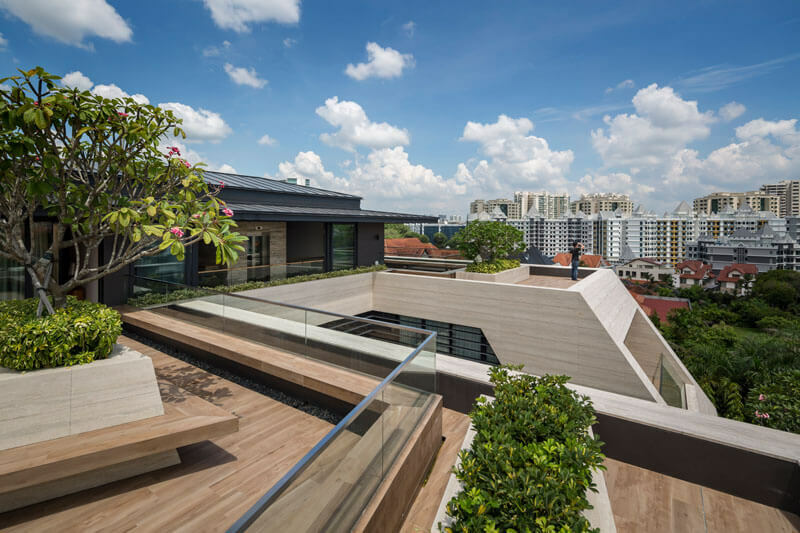 On the upper level of the house, on the rooftop, you’ve got like the deck of a ship with seating and planters, from where you can admire the whole neighbourhood and breathe in the air of having a house that really stands out from all the rest.